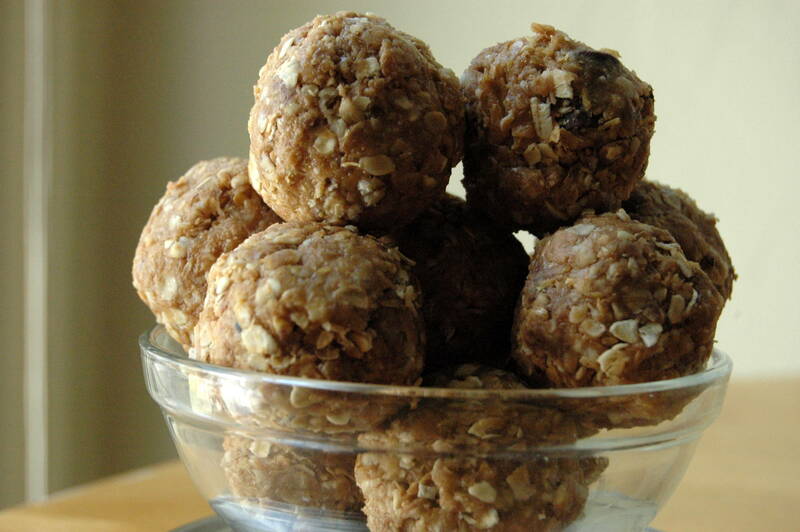 These no-bake glorious banana oatmeal energy balls have only 30 calories per ball and suit an IBS, Diabetics, Celiac & Paleo lifestyle. Perfect for on-the-go snacking and pre- & post-workout. 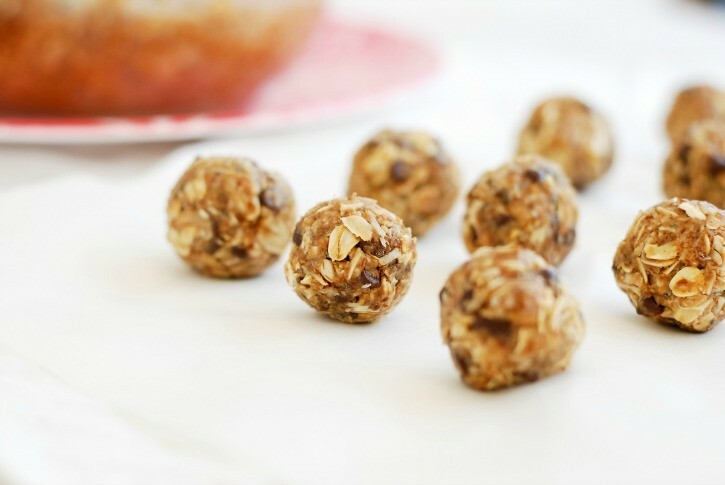 If you’re abiding by a clean eating lifestyle, because either your digestive ailments insist upon it, or you simply want to eat clean for your own wellbeing, then these healthy banana energy balls are the ticket. Because they’re small and essentially are popped into the mouth like candy, it’s easy to replace these with unhealthy snacks such as biscuits and cookies. They’re also far more filling and full of heart-healthy calories from the raw fruits and seeds. I eat these pre-workout because they give me tonnes of energy (hence the name), but also because I just can’t wait until after the gym for them – I’m way too busy rolling around on the floor in pain to eat anything immediately after a gym session. When I’ve made these before, I made a big batch in one go and froze around two thirds of it. Then, when I was hungry or knew I needed something for a journey, for example, I’d pop these frozen balls into a Tupperware container and allow to defrost in the pot for a few hours. Once the hunger started to creep in, there were these little balls of joy. This makes them especially good for working people who can’t help but graze throughout the day in their office chair (me!!). Try out this recipe, and even give it a fiddle yourself with some of your favourite ingredients thrown in. I also like doing mine with desiccated coconut and dried mango pieces instead of the banana, but really it’s all to play for with these yummy bites! 200g dates, crushed (soak these in 100ml water overnight to plump them up). Tree of Life’s organic dates are my favourite. In a food processor, mix the ground almonds, drained dates, bananas and flaxseeds and mix on high. The mixture should be nice and thick. Add in the 100ml water your dates were soaking in (this should be thicker than water, with a slight syrupy consistency) and gradually stir in the oats and flaked almonds to the mixture. Blend and pulse until all the oats and water have been added to the banana mix. Your mixture should be ready to roll now (if you feel it’s too thick or too runny, add in either more oats (if it’s too runny) or more water (if it’s too thick)). 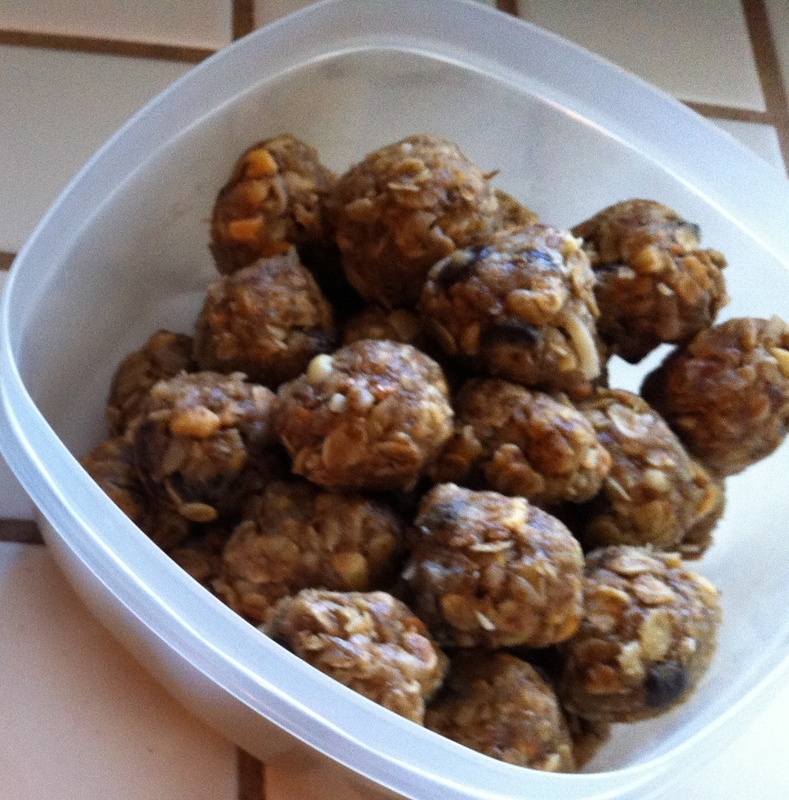 Roll into small balls and then carefully roll each one into a bowl of chia seeds. Pop in the freezer for a few hours. Once these are set and look to be staying firm when you squeeze them slightly, they’re ready to eat! Been searching through a lot of protein all recipes for one that fits my requirements and I think I’m going to try this one. Just wanted to point out, though, that you said in the intro that the recipe contains no nuts, but it contains almonds. Hi Ashley. Thanks for pointing out the error 🙂 I’ve made the change. Happy baking!